New storage crates. Ideal for the stock room, workshop or garage. 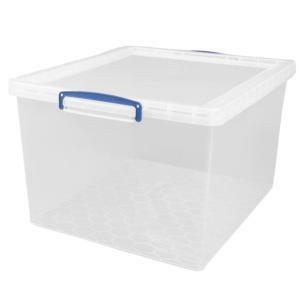 These picking bins provide the perfect organisational systems for all your items and products. Introducing the new Really Useful Nest and Stack range. Thesleek design allows boxes to nest in side each other when not in use or forconvenient transportation. 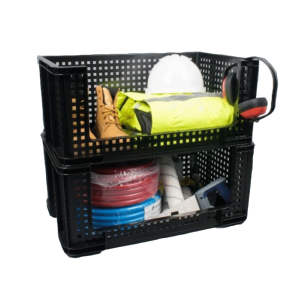 This new range is compatible with the existingReally Useful Box range, allowing them to stack neatly and efficiently.The clear strucuture allows you to view all your items with ease, no need to open each box at a time. More Shelving Combos coming soon! Following the success of our initial Really Useful Saver Shelving Pack, ReallyUsefulStorageBoxes.co.uk has devised some more storage combo's for you convenience. 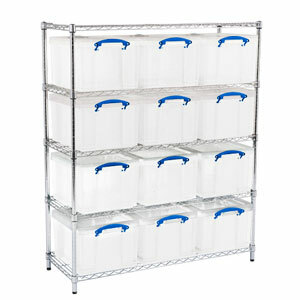 We have large range of sizes of Really Useful Boxes and Shelving combos soon to follow! Please email for initial enquiries.